Blog Are You Sure You Own Your Masters? These agreements do involve many components and complex language, so they should be drafted by an experienced music attorney. If the artist’s financial situation prevents him from hiring an attorney (or other reasons prevent hiring an attorney), then DIY templates of the appropriate agreements can be downloaded from Indie Artist Resource. (For IAR templates, CA residents click here and Non-CA residents click here). This article was first published on Sonicbids.com. 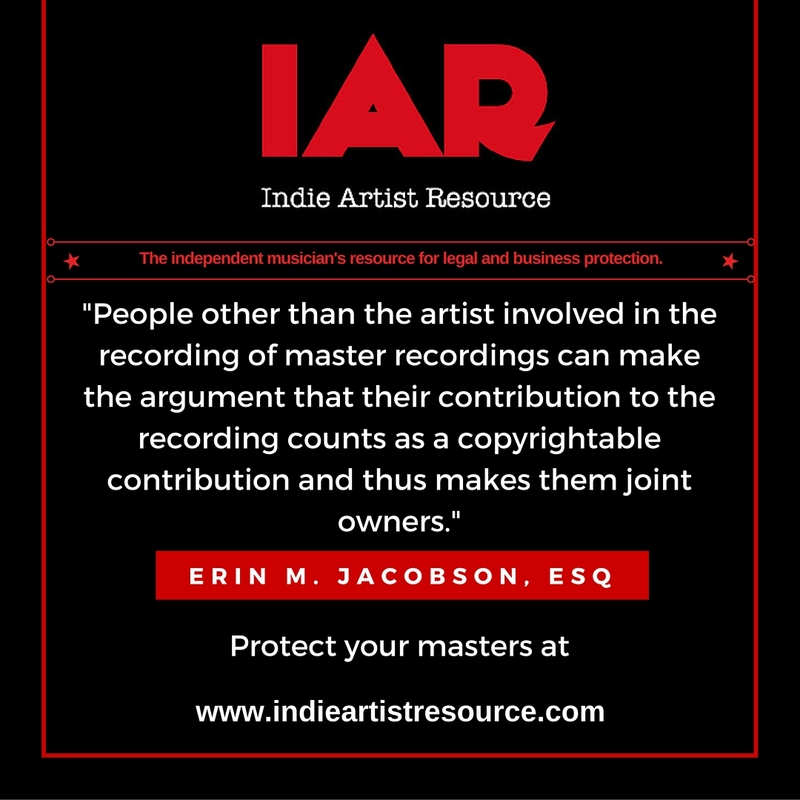 Artists - protect your ownership of your master recordings. Get the studio agreement now. A&M Records, Audioslave, Chris Cornell, contract, contract language, Eddie Vedder, engineer, Erin Jacobson, erin m jacobson, hire, independent musician, indie artist resource, los angeles, los angeles music attorney, master, master ownership, master recordings, masters, mixer, music, music attorney, music attorney la, music attorney los angeles, music business, music contract, music industry, music law, music lawyer, music lawyer la, music lawyer los angeles, musician, Pearl Jam, performance, producer, recording studio, recordings, records, Soundgarden, studio, Temple of the Dog, vocalist. Bookmark.